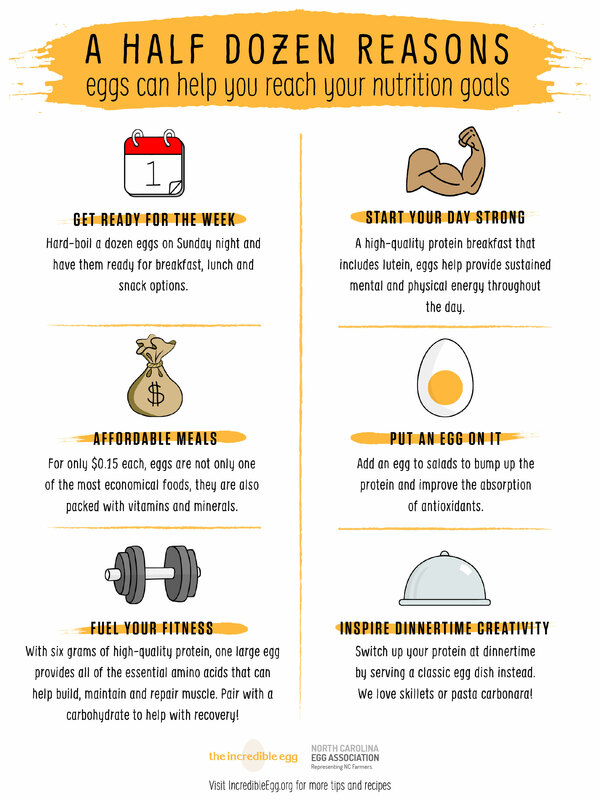 This year, your 2019 fitness goals can be met with one simple ingredient: eggs. From helping your body through workouts to keeping your heart strong–all at an affordable price–this hub of hints, recipes, and resources is the tool you’ve been looking for to fuel your new year. When you work out, you are both building and breaking down your muscles. Though it seems contradictory, this process (called muscular hypertrophy) is actually how your muscles can get bigger. 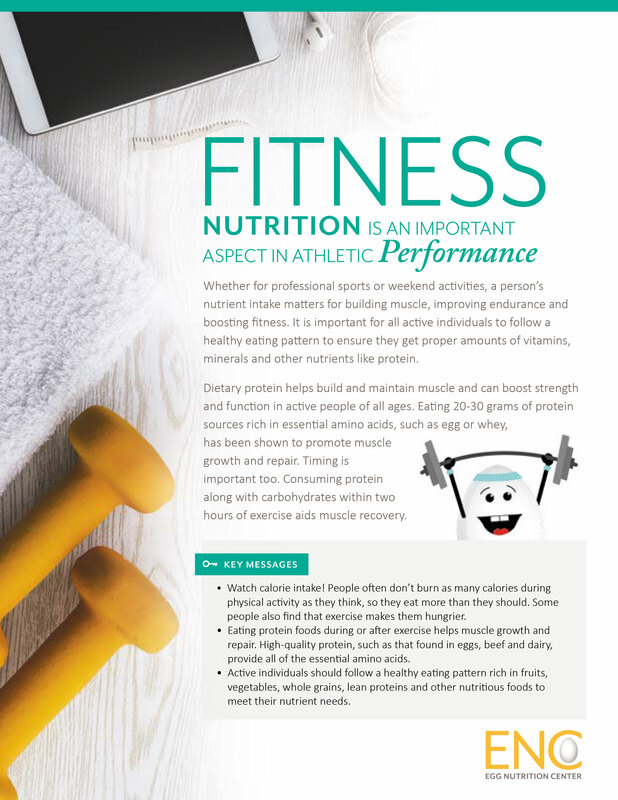 It relies on microtears in your muscles to activate the body’s repair response–and protein consumption is crucial in order to complete that healing process. The highest quality sources of protein come from whole foods rather than supplements. That being said, try to avoid low-quality sources of protein that could be loaded with harmful ingredients (like processed meat packed with sodium or protein powders full of sugar). 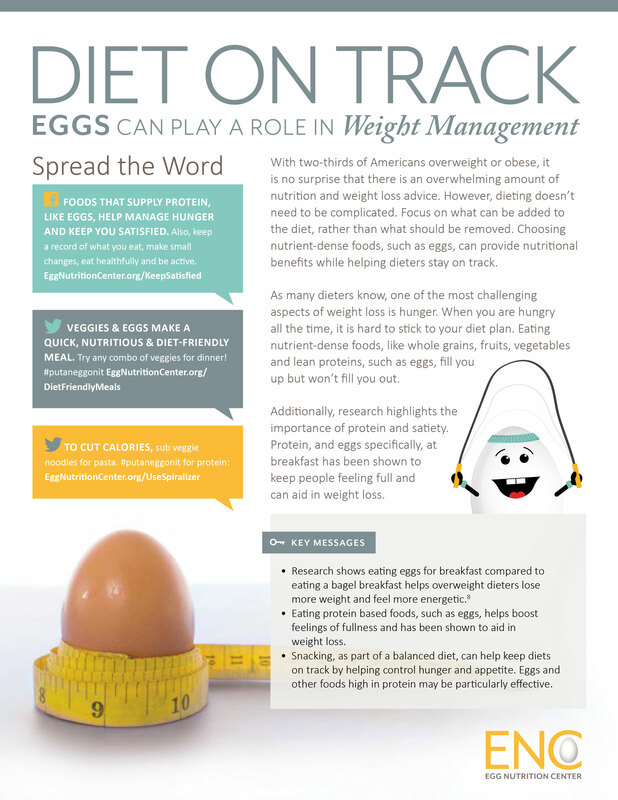 Eggs, being one of the top sources of protein, are the perfect easy go-to. 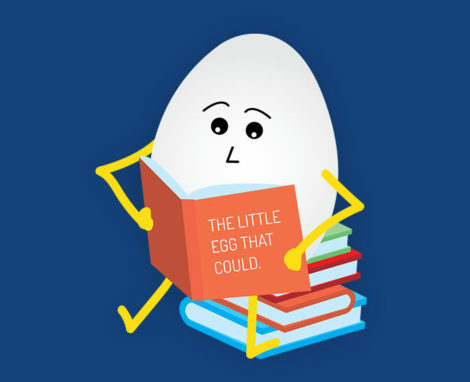 Learn more about eggs and fitness–plus some great hints, tricks, and recipes here! In 1995, a study tested 240-calorie servings of 38 different foods and ranked each of them based on the feeling of fullness and lack of appetite after eating. This study created a scale called the satiety index, scoring foods based on number of calories and how filling they are. Based on this data, the most filling foods at the lowest calories (foods ranked highest on the satiety scale) have recurring characteristics, like high levels of protein and fiber. 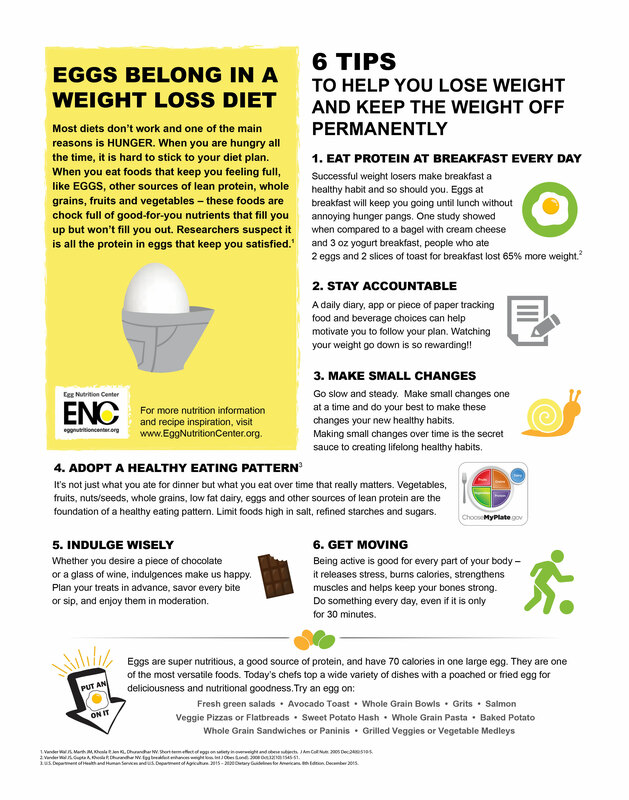 Eggs are nutrient-dense and low in calories, so they are a great solution if you are trying to diet. They fill you up without all the extra “fluff” that is bad for your body and causes weight gain. Learn more hints and tricks here! For the longest time, eggs were avoided for their cholesterol content. However, after decades of research, these old myths have been scientifically proven wrong. 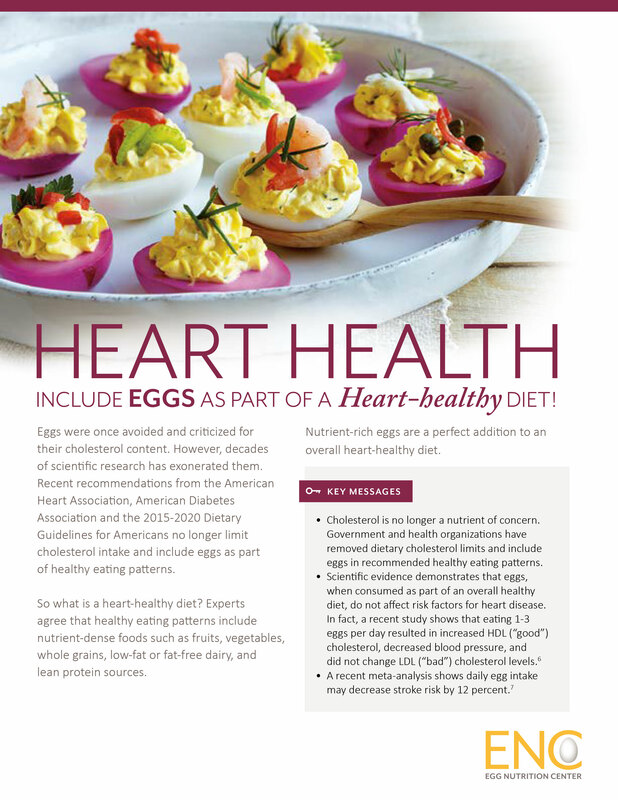 In fact, a recent study shows that eating 1-3 eggs per day resulted in increased HDL (“good”) cholesterol, decreased blood pressure, and did not change LDL (“bad”) cholesterol levels. 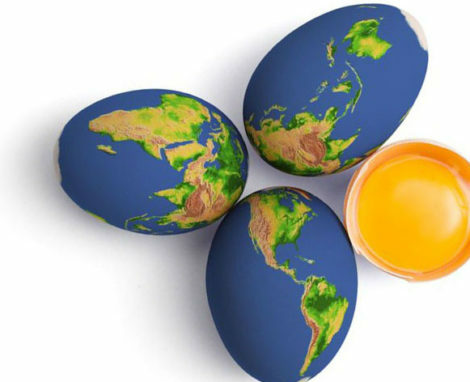 The cholesterol present in eggs actually escalates the body’s ability to maintain high HDL levels. What does this mean? Eating more eggs can actually help your heart health and decrease your risk of a stroke. 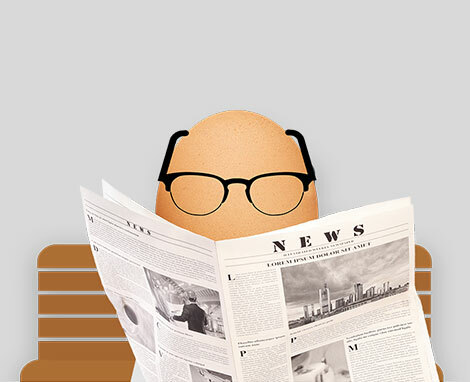 Now that you know more about how much help eggs can be for your health goals in 2019, it’s important to know that they can actually help your wallet as well. At 17¢ a serving, eggs are the least expensive source of high-quality protein. A dozen eggs can make multiple meals for your week, and it’s even easier when they’re prepared ahead of time. 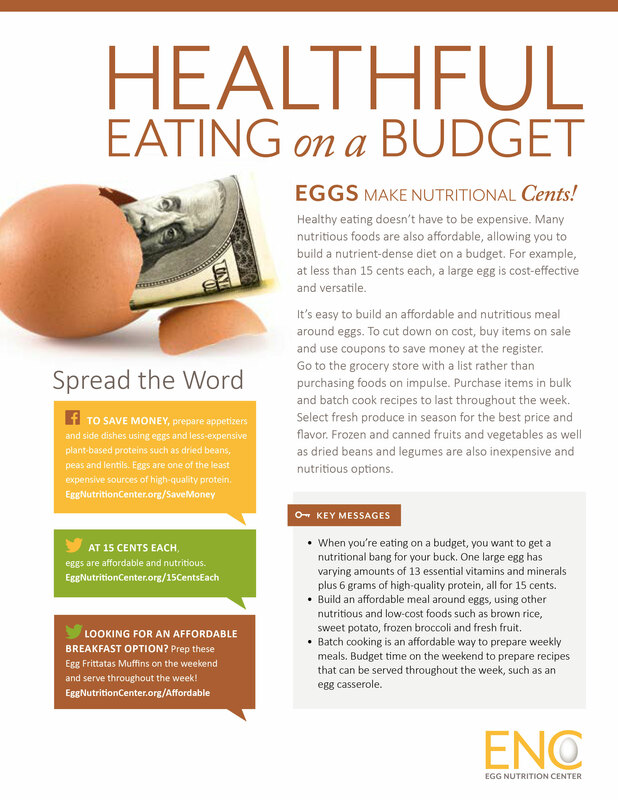 Check out some more affordable egg tips and recipes here! Check out the resources below for more information on health, fitness, and doing it all on a budget.